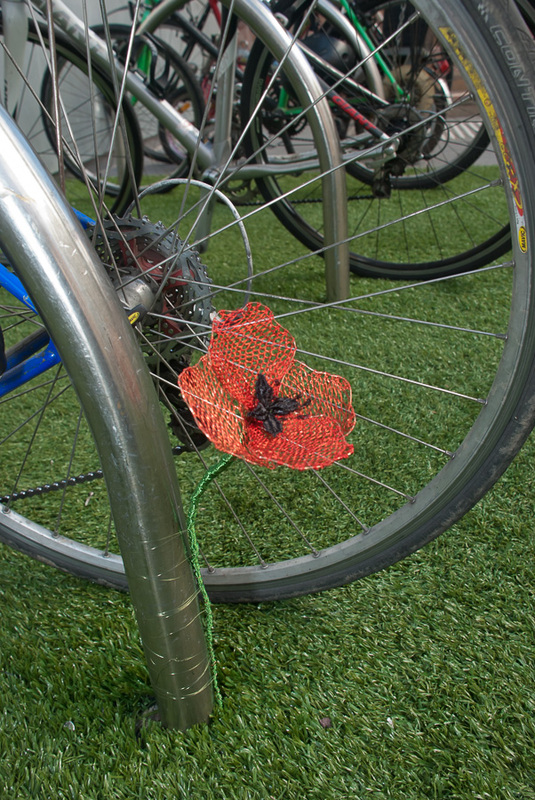 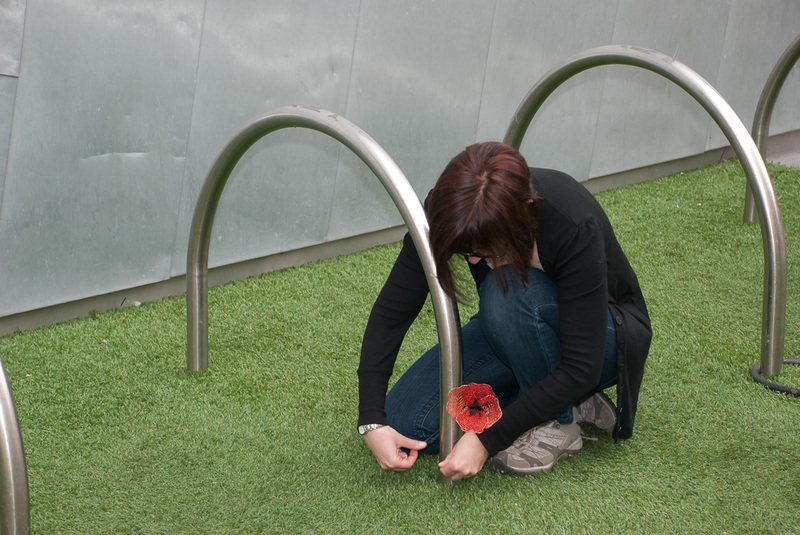 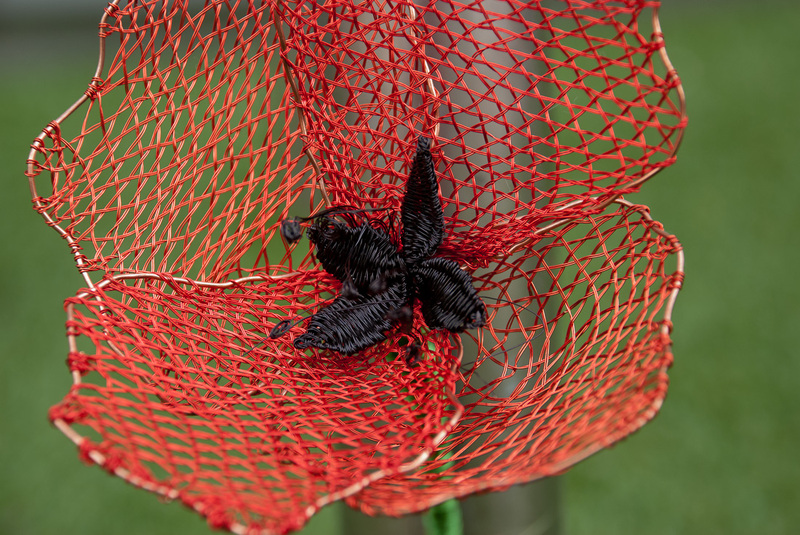 This wire lace poppy was installed bursting from the grass at Federation Square’s Amphitheatre on the morning of Remembrance Day 2010. 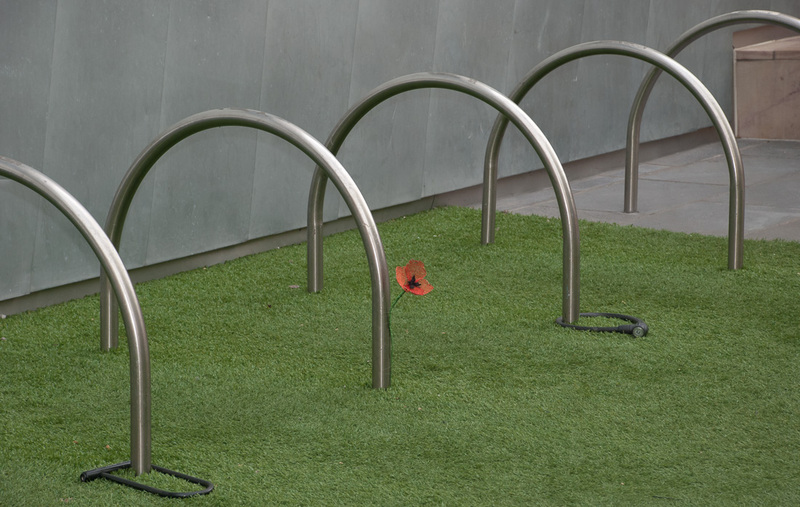 Its metallic finish seemed to merge into the facade of the square and it was soon surrounded by bikes. 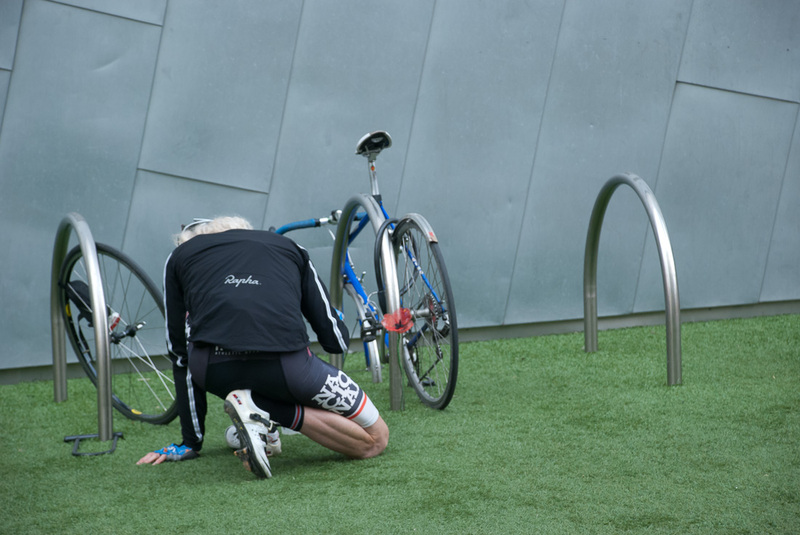 This piece did not last long and by lunch it had been ‘picked’.